PHOTO: Allen Ramsey, DWCPhoto.com. Highlands junior Ethan Doty celebrates after recording the final out of the state quarterfinals against North Bullitt in 2015. Highlands High School is hosting three college signing ceremonies this week as Jenna Martin, Ethan Doty and Kiersten Clukey are set to sign. Girls' basketball player Jenna Martin will sign a letter of intent to play basketball at Kentucky Wesleyan College. The signing will be held at today at 3:00 p.m., in the media center at Highlands High School. Martin is a 1st-Team All-Region who averaged 14.8 points per game during her junior year. Baseball player Ethan Doty will sign a letter of intent to play baseball at Otterbein University. The signing will be held at 3:15 p.m. on Wednesday, November 16, 2016, in the media center at Highlands High School. Ethan is a four-year varsity player who has made a significant impact on some of the most successful baseball teams in Highlands’ history. Ethan has pitched at the varsity level for four years, lettering three of those years. Ethan has also pitched in the regional finals two years in a row and has been the winning pitcher each year, giving up a total of only one run and seven hits in those two games. His one career save came in the quarterfinals of the state tournament. 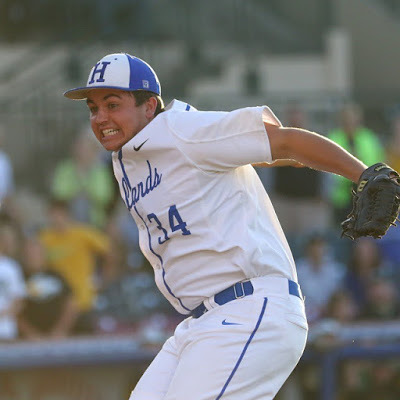 He also threw five innings giving up only one run in the state championship game. Girls' soccer player Kiersten Clukey will sign a letter of intent to play soccer at Campbellsville University. The signing will be held at 3:15pm on Thursday, November 17, 2016, in the media center at Highlands High School. Kiersten is a four-year varsity player, playing mostly in the center midfielder position. She has played a significant part in helping the program grow into what it is today and has won multiple awards for both All-Region and All-State. Kiersten has consistently been in the top five for points leaders on the team over the last three years and has been an outstanding leader. Kiersten’s commitment to training for both school and club-level teams is a testimony to her passion for soccer. This passion continues to grow as she moves closer to the next level.